Disney is set on a live-action campaign for the years to come. From Alice in Wonderland to The Jungle Book, this is just the beginning. Regardless of how you feel about them, the box office will just motivate more. Even though we have already have seen the content within these movies, there is something just so fresh to these stories. 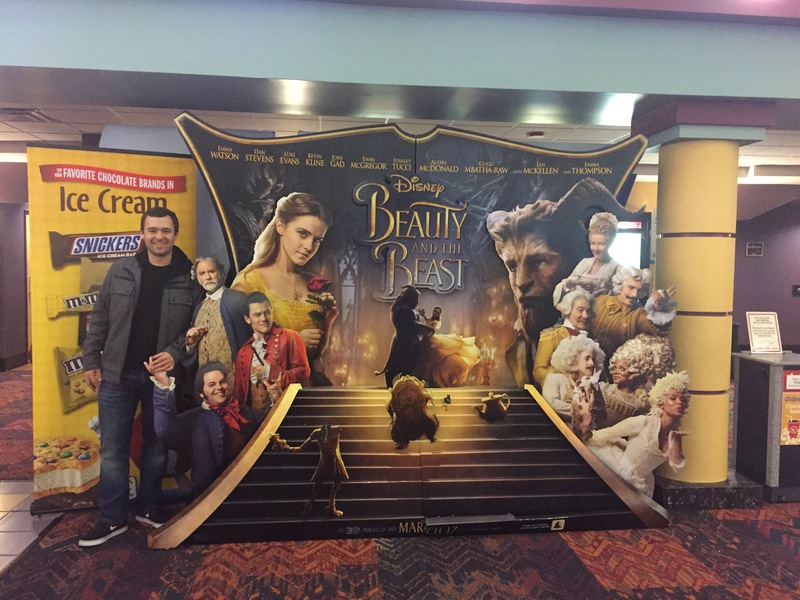 Beauty and the Beast, perhaps, is the best example of how a tale as old as most millennials can be renewed successfully. 1991 was quite a while ago and the chance of seeing Disney’s Beauty and the Beast should not be taken lightly. The chance to see it in theaters, that is. Of course, re-releases occur, but there is something about the screen that adds to the experience. For this magical tale, it is even more true. Simply put, “Be Our Guest” should not be enjoyed from the comforts of your own home. I’ll be the first to tell you that a movie can be watched on your comfy couch, but in this case, you should make the trip. Just the simple fact that our childhood favorites are being brought to life should be motivation alone. It’s an addition that they are doing so with immense talent and interesting changes. If you have not seen it already, I hope my word can calm some of your worries. The casting was perfect and the changes advanced the story. I was never the biggest Beauty and the Beast fan, but this take did not hinder the story in any way. Don’t get me wrong I still loved Beauty and the Beast, but just had other preferred Disney favorites. With that aside, I must say that so far The Jungle Book is my favorite renewal to date. Emma Watson, who has carefully decided on roles since the Harry Potter franchise, struck gold and we did too when she was given the role of Belle. She fits the description of the outsider villager that catches the eye of a bystander. Her father, presented by the charming Kevin Kline, warms out hearts. It’s important to note that Belle’s backstory is changed to display her as the inventor and her father as more of an artist. This change only enriches the character and adds to the villagers’ backwards thinking. Gaston, in my opinion, was even more menacing than the animated version. I think this is important because we frequently consider him to be a light villain that is attractive to most women. In truth his character tells the story of many ills females have experienced from males. He’s purely abusive and even borders on evil when he works his way on the village. Luke Evans brings Gaston to life in a scary way and no doubt in my mind that Hugh Jackman would have received this role if he were slightly younger. Without Josh Gad playing LeFou we all would have been at a loss. Bringing, what I would argue, the most life to this adaptation, Josh Gad was enigmatic. Another change comes when LeFou is more sympathetic to Belle and her father. Oh and yes there’s a “gay moment” with LeFou’s character, but it really just feels natural to the character. Although it doesn’t include the actual film, you can hear the beast-like voice and Dan Stevens just-professionally-trained voice combine into one. That along with the beautiful background creates a song that gnaws at the heart. There were instances where I felt like the creators could have milked emotions more. I felt like there were more tears during The Jungle Book than there was during this. Some may argue with me on that point, but overall some instances fell flat when immediate plot progression took place. Regardless of this, the film is still an immense success that will enlighten many nostalgic viewers. Putting a fresh polish on the finished product, the changes should be welcomed by audiences. This movie brought me to tears! I was so happy to see how they transformed it into the film it was. Your post is great and breaks down the most important pieces. Great job!